In 2018, we’re supporting SRQ Vets, a local Sarasota based 501(c)(3) non-profit founded and led by volunteer veterans serving veterans in the Sarasota, FL area. We offer a broad range of assistance to local vets in need, including helping in the Veterans Court, the Veterans Filmmaking Academy, Operation Rubix, aiding veterans in need of transportation, home modifications for disabled vets, and much more. From 2015 thru 2017 we supported Operation Second Chance. They are comprised of patriotic citizens committed to serving our wounded, injured and ill combat veterans. We support Veterans and their families by building relationships and identifying and supporting immediate needs and interests. We are dedicated to promoting public awareness of the many sacrifices made by our Armed Forces. For 2014 we supported Soldiers Undertaking Disabled Scuba (SUDS), the program is designed to help improve the lives of injured service members returning from Iraq and Afghanistan. By training the warriors in a challenging and rewarding activity it can help facilitate the rehabilitation process and promote mobility. Offering this venue provides the service member with a sport they can enjoy during the rehabilitation and throughout their life. For 2013 we supported the recently formed Sarasota/Bradenton Chapter of Heroes on the Water. Harmar Mobility donated a vehicle lift to this organization on top of our events donation. This organization helps wounded warriors relax, rehabilitate, and reintegrate through kayak fishing and the outdoors. Started at Brooke Army Medical Center in 2007, Heroes on the Water (HOW) now serves military personnel at other U.S. Army Warrior Transition Battalions, the Marine Wounded Warrior Regiment, Air Force Wounded Warrior, and Navy Safe Harbor, as well as VA medical and rehab facilities around the country and medically retired veterans. Over 3,100 Wounded warriors have participated since 2007. 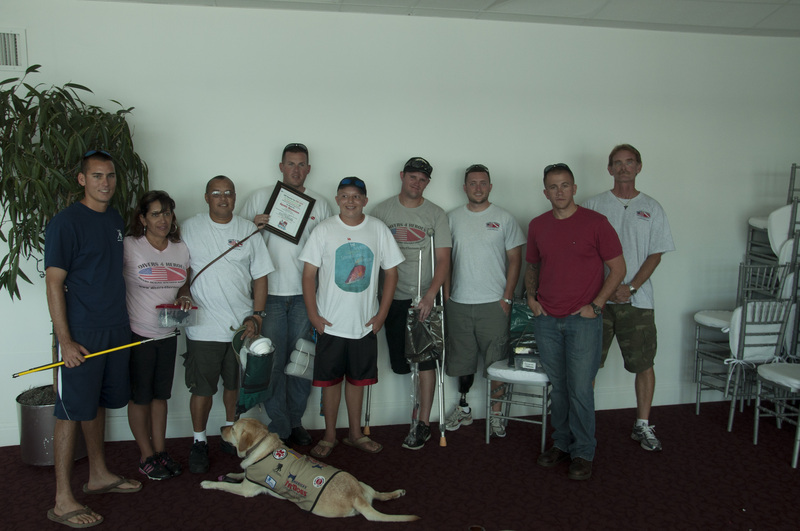 The 2012 event was held to raise money and awareness for the Special Operations Warrior Foundation and Divers 4 Heroes. 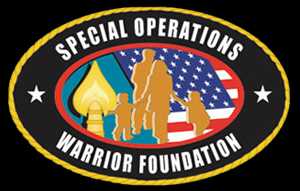 The Special Operations Warrior Foundation provides full scholarship grants, educational and family counseling to the surviving children of special operations personnel who die in operational or training missions and immediate financial assistance to severely wounded special operations personnel and their families. We also had the opportunity to invite 6 of our local wounded veterans out for a day on the water to experience spearfishing for the first time. Two of the members were also able to bring fish to the weigh in line.